A few days ago, like every other excited Nigerian we reported that Nollywood actress, Funke Akindele was listed as a member of the cast in the upcoming superhero film Avengers:Infinity War, playing one of Black Panther’s guards in the capacity of the Dora Milaje. 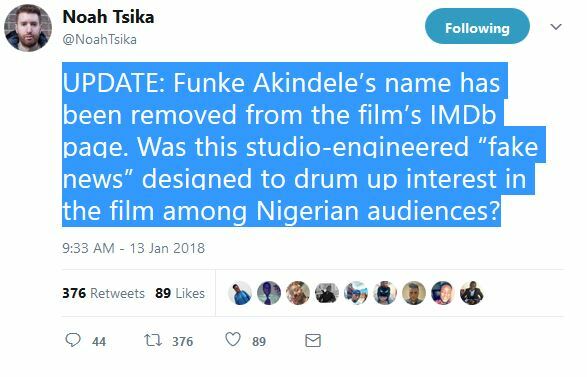 On Saturday, the 13th of January, it was discovered that Funke’s name has been removed from the film’s IMDb page. The reason for this sudden development is still unknown as at the time of this post. When news broke of Funke’s role in the new superhero film, the actress never confirmed or denied the news. The question now is was this initial news some kind of publicity stunt? 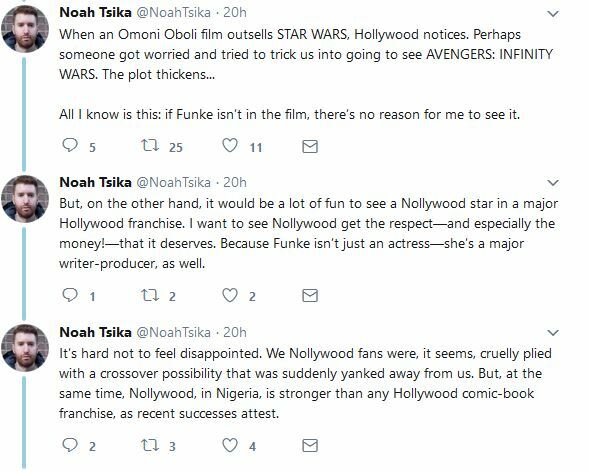 Mixed reactions have continued to trail on social media following the news of Funke’s name now missing on the list of cast in Avengers: Infinity War. We wait with bated breath for an official announcement from either Marvel Studios or Funke Akindele regarding her role in one of Hollywood’s most anticipated movies of 2018.